Ensuring reproducibility and reliability of scientific work should be at the heart of medical science. It is thus an issue of great concern for BBMRI-ERIC and we are dedicated to working hard in order to facilitate both better quality of and accessibility to biological samples and data that is curated by the biobanks of our members. Ultimately, we will implement quality tools to support European biobankers and researchers in their daily work. 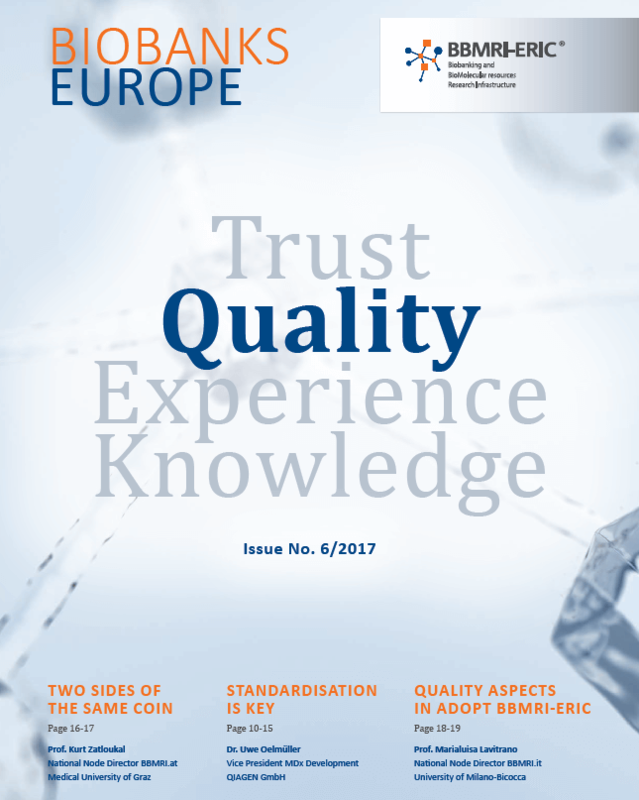 Our special issue on quality management can be found here!